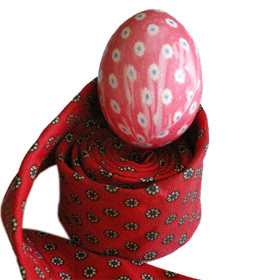 I found a kit that you can use - You just transfer the patterns from recycled vintage neck ties onto eggs. 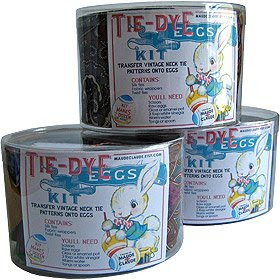 Key is you don't have to boil the eggs first so it saves you time and a mess-you don't have green dye on your hands for days. Just remember to keep the egg crate to store them for next year - I bring out 2 doz every year - yep they last for a long time!